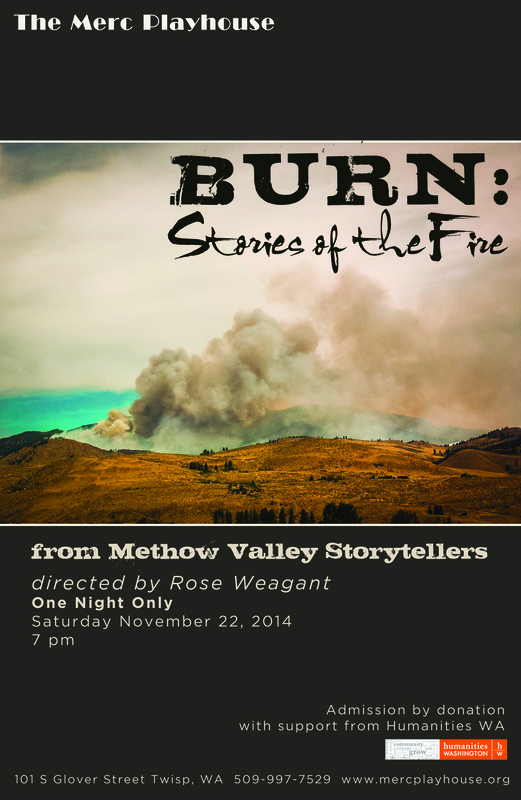 The Merc Playhouse Presents BURN: Stories of the Fire from the Methow Valley Storytellers. Curated and directed by Rose Weagant, with support from Humanities WA, locals from in and around the Methow Valley will share personal, creative narratives through story, poem, and song. One night only on Saturday, November 22nd. Doors open at 6:30, performance begins at 7:00. Admission is by donation and there will be a talk back immediately following the performance.